Srinagar: Former chief minister and Peoples Democratic Party (PDP) president, Mehbooba Mufti on Tuesday blamed National Conference (NC) for the current proceedings of National Investigation Agency (NIA) in Jammu and Kashmir. She also said that oppressive measures through NIA won’t yield any result to Kashmir issue, but a political solution is the only way out to resolve the issues. 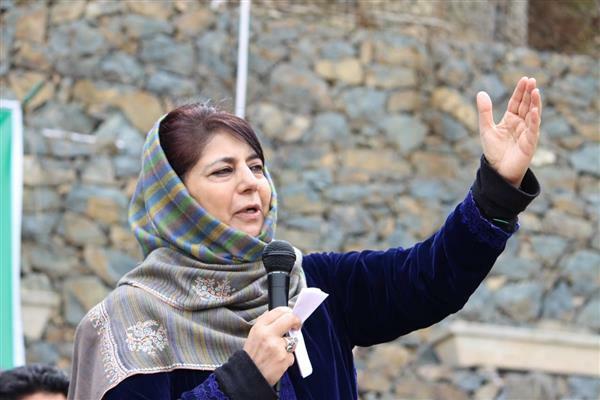 “You cannot resolve the issues by imposing bans and seizing the properties but a political issue needs a political resolution only,” Mehbooba said.